Chris has successfully represented a wide variety of clients in major litigation, including both plaintiffs in business litigation and large corporate defendants. He has represented bankruptcy estates and unsecured creditors’ committees, major corporations (American Honda, American Express, and Southland, the 7-11 franchisor), real estate developers, a financial institution, and a famous underwater photographer. Chris represents individuals and smaller businesses against large corporations. Chris is also active in local politics to the Marin County Board of Supervisors and is a member of the Bicycle Pedestrian Advisory Group. 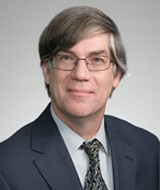 In re Heller Ehrman, LLP – recovered over $40 million to date representing the estate of Heller Ehrman against dozens of defendants, including a recovery of more than $20 million in a preference action against Bank of America; a settlement for $4.9 million in a legal malpractice action; $7.5 million from a major law firm and a former client of Heller Ehrman; and more than $4.5 million from a number of law firms in Jewel v. Boxer actions. In re Tri Valley Growers – recovered over $34.5 million from bringing a large number of cases representing the estate of a large agricultural corporation including a suit against its grower-members; an action against directors and officers insurers that settled for $17.5 million; and a professional malpractice case against a national accounting firm. Borman v. American Honda – defended American Honda in a national, federal class action filed against it by hundreds of its dealers and in related state court lawsuits.